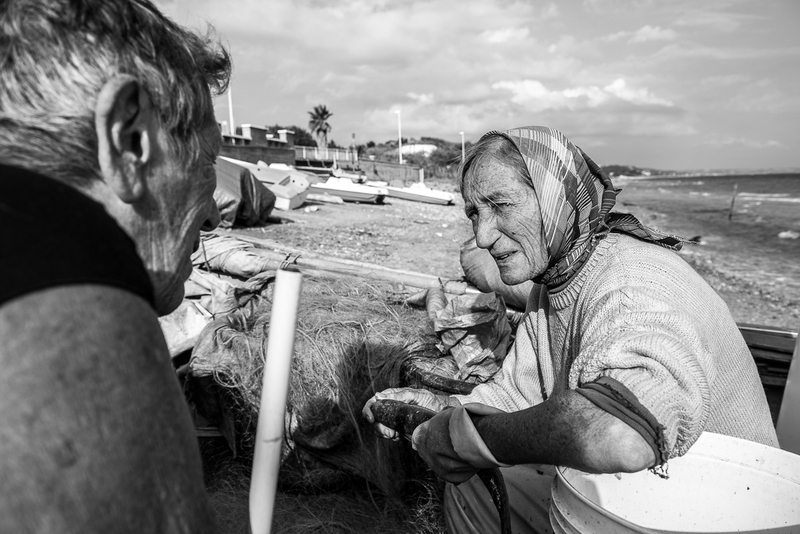 Then there are images of Anna Maria Verzino on her boat, Gloria, hauling fishing nets in with a strength that defies her small, elderly frame. A starfish in the palm of a wrinkled hand, and a waterproof jacket pulled up over a scarf-covered head. 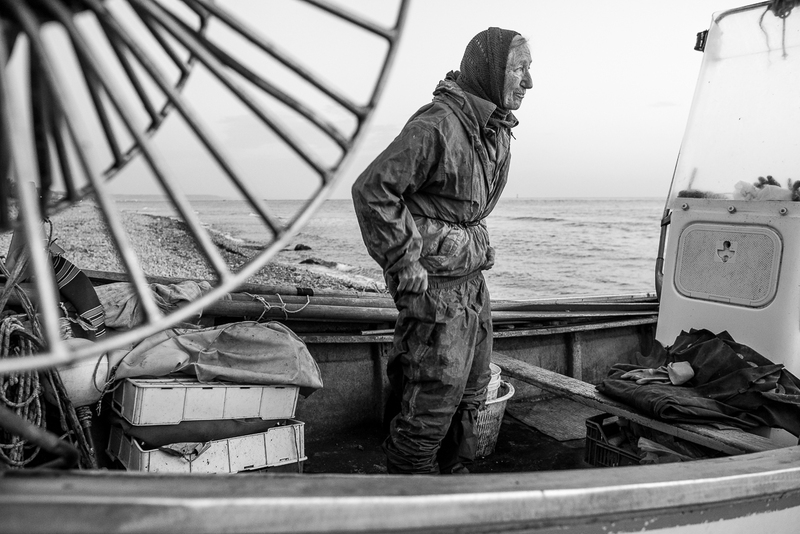 This is The Bride of the Sea and the subject of the journalist Annalisa Marchionna’s photographic essay by the same name. Marchionna was among the first journalists to be granted an interview with Anna Maria, and certainly the first to be allowed to photograph her. 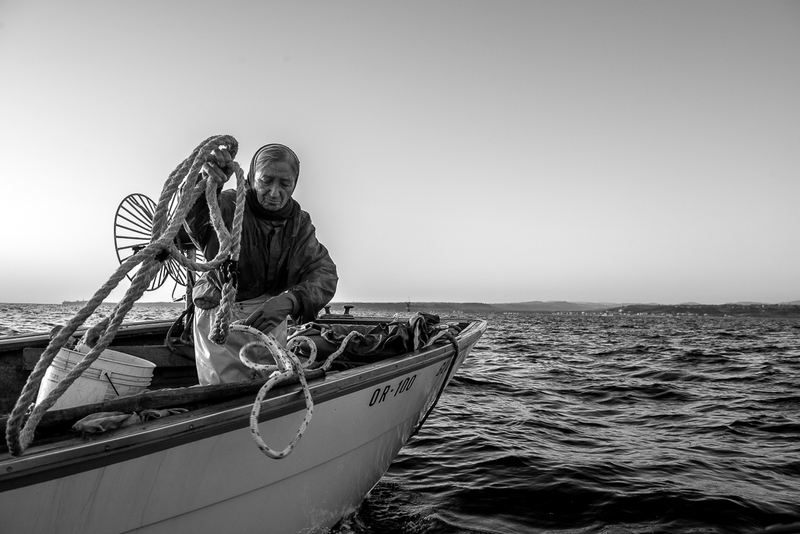 It was a privilege that took a while to earn, and came with the promise to avoid all interference in the subject’s life, especially while they were out on the boat. 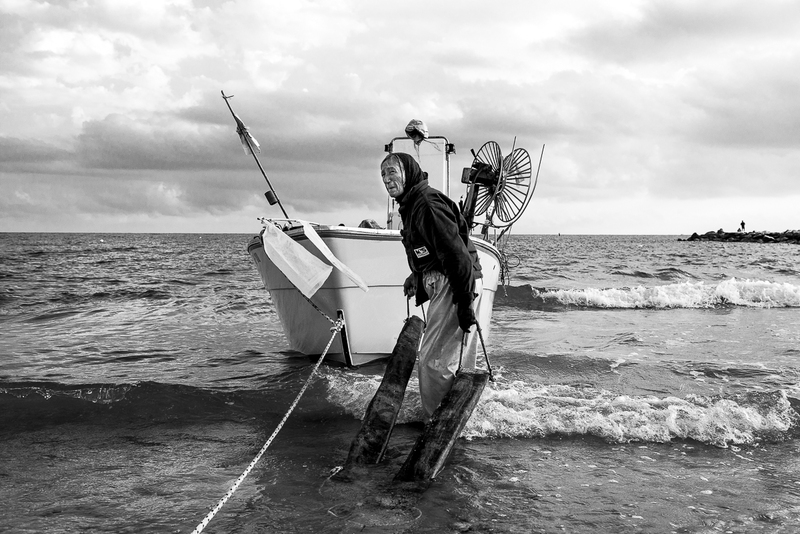 The images are captivating, and they tell a story of courage, of a life lived at sea. As is not uncommon with the stories of female pioneers of her age, they also tell of a kind of unwitting feminist activism brought about through the simple act of following one’s dreams. Though Anna Maria Verzino was born into a fishing family, and had been on boats with her father since the age of four, it was not until she was 30, when the laws regarding gender equality were passed in Italy, that she was able to apply for a fishing license and become an independent fisherwoman. Before this she was obliged to accompany some male colleague or relative in their boat. Her determination to dedicate herself to such a male dominated profession has been, perhaps unsurprisingly, met with scepticism from her male colleagues throughout the years. ‘Why aren’t you at home knitting like all other women’ she recalls a ship captain asking her once. ‘I knit when I get home, after I’ve been out at sea’ she replied at the time. Her refusal to apologise for her femininity in a man’s world is the very quality that attracted Annalisa Marchionna to her as a subject for her photo essay. 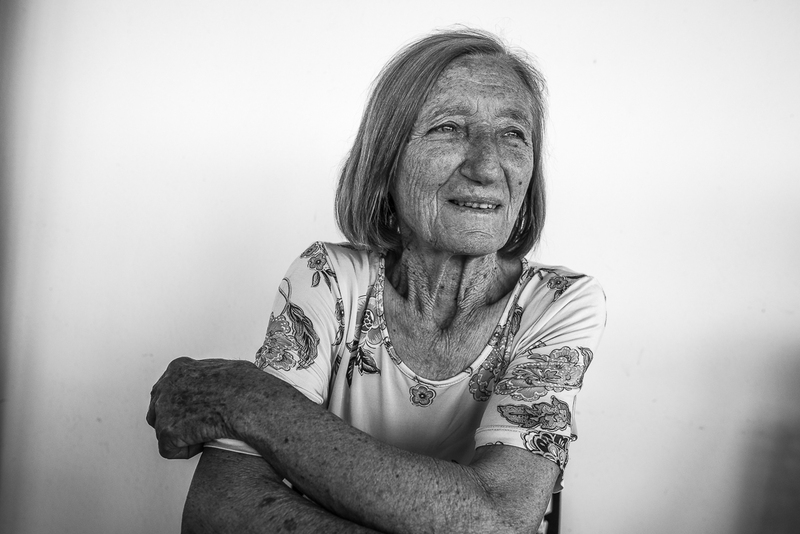 Perhaps the most captivating aspect of Marchionna’s series of portraits of Anna Maria is the depiction of an elderly woman entirely satisfied with her life and her achievements. Anna Maria does look like any other 80-year-old Italian woman, but she certainly is young and fit for her age. Perhaps that is the reward for a lifetime of doing what she loves. Perhaps the secret to longevity is a combination of early starts, a daily dose of sea air and avoiding a lifetime of regrets.